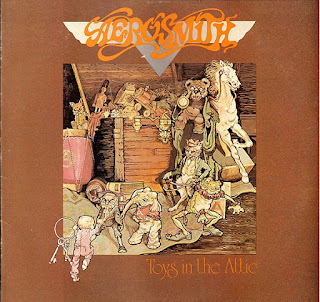 "Toys In The Attic" is the third album by the "Aerosmith",released in April 1975. The album found the band working to maintain its rock audience while making another bid for the crossover success that, to that point, had continued to flit just out of reach. The album's first single release, "Sweet Emotion", was released a month later on May 19th and "Walk This Way" was later released on August 28th in the same year. 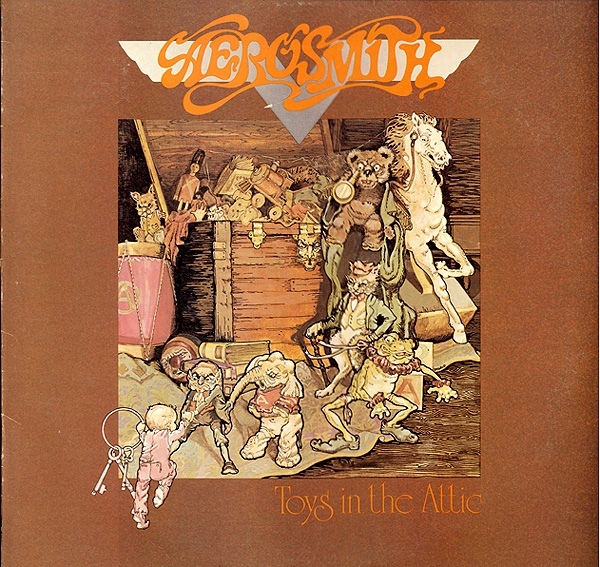 "Toys In The Attic" is their second-most commercially successful studio album, with eight million copies sold in the United States alone, according to the Recording Industry Association of America. The album was ranked #229 on Rolling Stone '​s list of The 500 Greatest Albums of All Time. Tom Hamilton – Bass, Rhythm Guitar On "Uncle Salty"
Uncredited Guitarist - Solos Include "Adam's Apple" And "Walk This Way"
Scott Cushnie – Piano On "Big Ten Inch Record" And "No More No More"
Jay Messina – Bass Marimba On "Sweet Emotion"